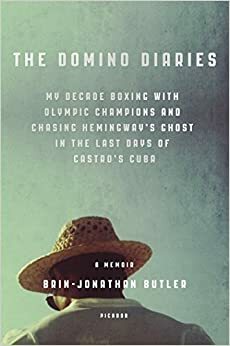 Brin-Jonathan Butler (“The Domino Diaries: My Decade Boxing with Olympic Champions and Chasing Hemingway’s Ghost in the Last Days of Castro’s Cuba”) joins the show. We discuss his time in Cuba and his exploration of what makes some prominent athletes spurn unforgettable opportunities to remain in their home country. You can purchase The Domino Diaries wherever books are sold. Check out an excerpt from Brin’s new book. You can follow Brin on Twitter.